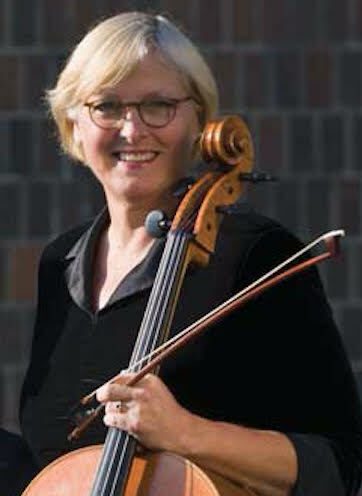 Lucia Magney has been the Executive Director of the Minneapolis Pops Orchestra since 2001 and teaches Cello and String Methods at the College of Saint Benedict and Saint John’s University where she has been a faculty member since 1990. Ms. Magney is Assistant Principal Cellist of the Minneapolis Pops Orchestra and the Duluth Superior Symphony Orchestra. She holds degrees from the University of Minnesota and Manhattan School of Music where she was a student of Bernard Greenhouse. In addition to classical cello performance, Lucia delights in exploring the world of traditional and post-traditional Celtic and folk music. She has traveled to study with luminaries of the genre: Alasdair Fraser, Natalie Haas, Hanneke Cassel, Mike Block, Kevin Henderson, Antti Jarvela, and Rushad Eggleston. In her leisure time Lucia enjoys sailing, kayaking, making pottery, and relaxing with family at her cabin up north.